ECO by Cosentino: a recycled materials countertop. ECO by Cosentino is a durable and stain resistant countertop material that has received Greenguard and Cradle to Cradle certifications. 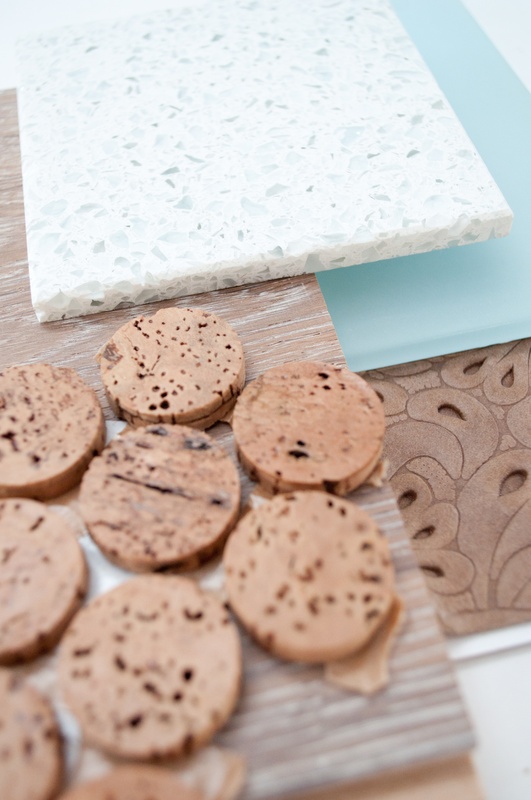 We love it because it is made of 75% post-consumer/post industrial materials that are being diverted from landfills… glass bottles, windshields, windows, mirrors, porcelain dishware, sinks, toilets, and industrial scraps. 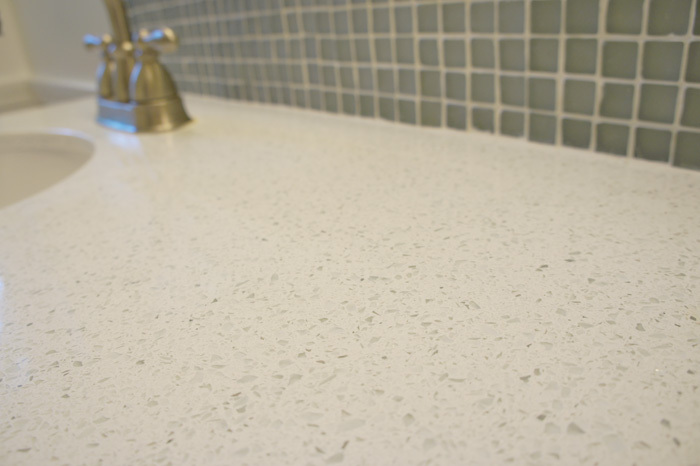 Eco’s resin binder is made of 22% corn-oil, and the slabs are polished with a diamond blade to add a natural shine that does not require any sealant. Additionally, Cosentino reuses approximately 65 million glass bottles per year. During the manufacturing process, 94% of the water used is recycled, and all minerals come from quarries that follow strict stewardship guidelines. Our color pick: White Diamond. It’s fresh, clean, bright…perfect for a bathroom pick me up. Pair it with Lush Vapor Frosted tiles from Modwalls and Hakwood European Oak flooring for a little coastal living. What do you need to know about installation/maintenance? We installed the White Diamond in a master bathroom 2 years ago and it has held up wonderfully. Slabs are 63″x 128″, and soap-water (or gentle pH-balanced cleaners) is the best way to get it clean. Installation must be done by a certified professional. 10-year limited warranty.